John Kavanagh made his third appearance on Ireland’s most established talk show, The Late Late Show, on Friday night and discussed the future of Conor McGregor, his own future with the outspoken Irishman, and the impact “The Notorious” has had on the perception of MMA in Ireland. Kavanagh claimed a meeting with McGregor last Friday night was the first time he had seen him in person in months and that he is hoping to sit down with the former two-weight champion next week to plan his next move. As for McGregor’s short-lived retirement, Kavanagh highlighted how he questioned whether his most famous student would still be motivated after scaling to the top of the sport. The SBG head coach went on to say that he has noticed a “resurgence” in McGregor’s passion for competition. Regarding the speculation as to whether he and McGregor had gone their separate ways, Kavanagh seemed optimistic in terms of their relationship moving forward. 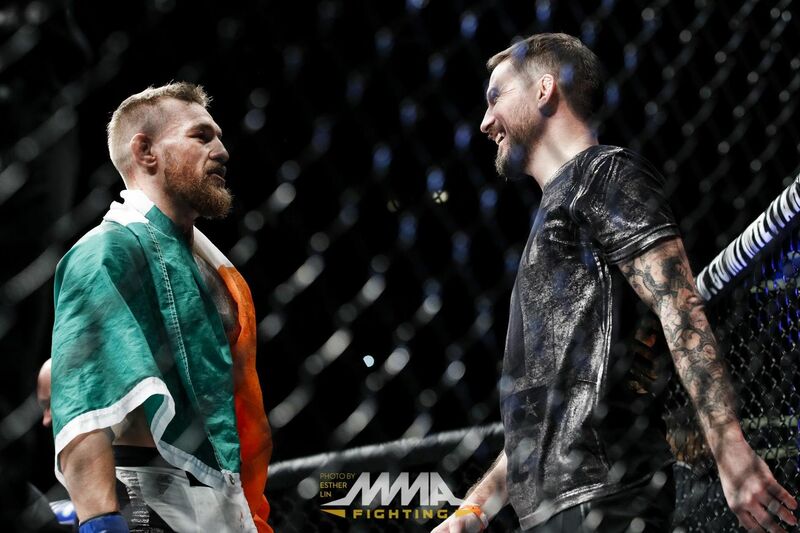 “Very much so, I certainly hope so,” Kavanagh said when asked if he would be in McGregor’s corner when he eventually returns to action. Kavanagh also highlighted how he cares about the negative impact McGregor’s recent arrests have had on the perception of MMA in Ireland and how he hopes the infamous former champion gets back to doing “positive things”. “I do [care], I absolutely do,” he said. “[I care about] the perception of the sport; it’s been around before Conor and it’ll be around after he’s finished with it. I do think, myself and everyone in Ireland that’s involved in MMA, we’re hugely thankful for what Conor has done. He shone a huge light on what we did…but he has made mistakes that I absolutely don’t condone. I know he regrets them, he’s paid for them, he’s trying to learn from them and he’s trying to move on.